Custom Bracing at Action Sports Clinic, we offer a wide range of custom and off-the-shelf bracing options for many orthopaedic conditions. Bracing is generally considered a conservative treatment option which may enhance your return to activity. Not just for injured athletes, custom bracing can provide a level of protection not found in their sport without using the athlete employing personal custom bracing. We have selected premium quality custom products from companies like Ossur (CTi), Bauerfeind and Donjoy (DJO). CTi® has set the standard for truly custom ligament bracing for more than 20 years. 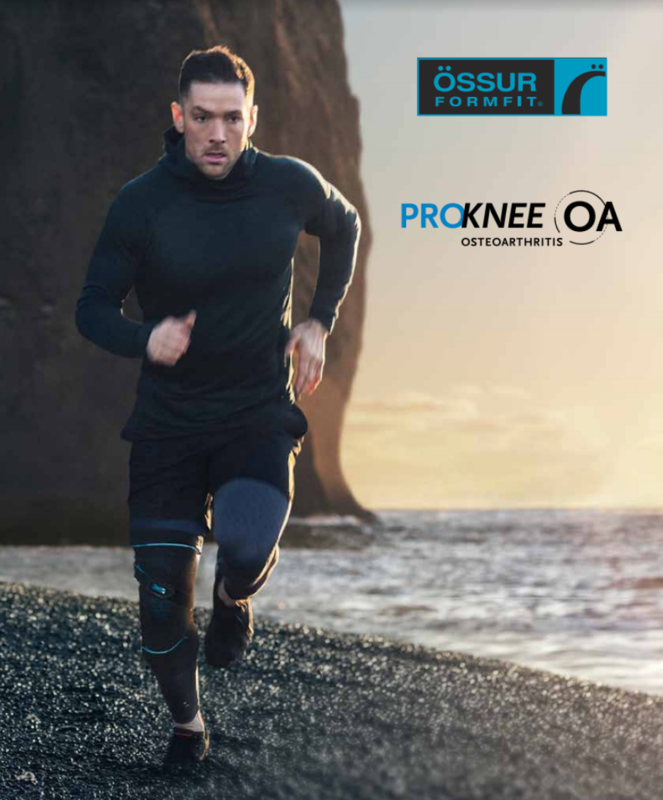 It is worn by many of the world’s top athletes and respected by many of the leading surgeons and associated clinical specialists in knee rehabilitation for its unbeatable support and level of comfort. 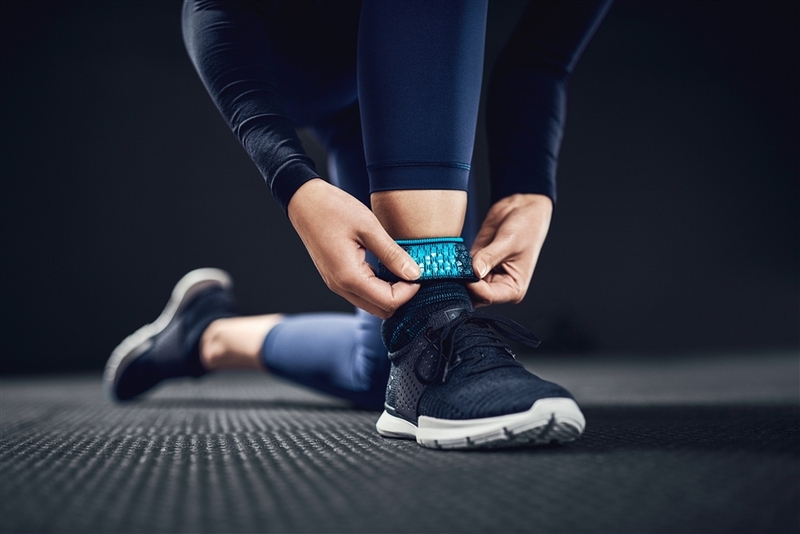 The product line has recently undergone a host of new improvements, which includes Sensil® Silicone padding that eliminates migration, a flexible lower medial cuff for greater protection against rotational forces and skin-friendly SensEdge overmoulding to avoid pressure points. Ossur’s other product lines are also focused on Quality of life! Reduced pain and increased activity through use of the Unloader One OA knee brace adds up to a better quality of life. Both the Unloader FIT and the Unloader One are built upon the same design that has been clinically proven to alleviate the pain caused by osteoarthritis of the knee. Unloader braces are both lightweight and easy to put on and wear under everyday clothing. The proprietary dual Dynamic Forces Strap system provides rapid pain relief and can easily be adjusted by means of simple SmartDosing™ dial(s). They are suitable for all levels of activity. 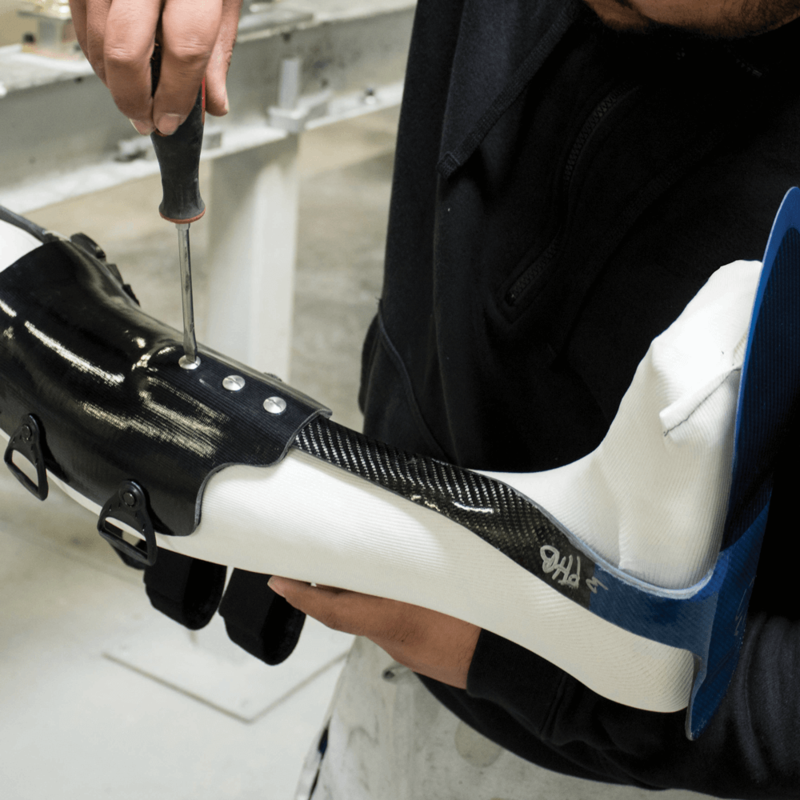 On top of all our custom bracing options we also offer off-the-shelf sport specific products from Össur, CTi, Mueller, and DJO which generally don’t require a customized solution. Medial and Lateral support for protection and post injuries. We offer a number of options, including Active Ankle Brace, ASO, Aircast Ankle A60. Customizable Wrist braces are available for post surgical conditions as well as for “return to sport”. A variety of Wrist supports are available depending on the level of support required, Carpal Tunnel, Skiers Thumb, Post Casting. 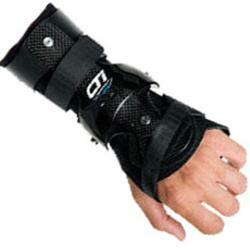 Action Sports Clinic carries All Sport Dynamics Wrist Braces, used by extreme motocross and mountain bike athletes. Custom sport and off the shelf ligament knee braces are worn to control rotation, hyperextension and instability of the knee. Ultra light carbon and titanium rigid frame, extension and flexion stops, polycentric hinges for precise tracking, lifetime warranty, custom paint options, covered under most medical plans (with Dr’s note). OA knee braces help osteo-arthritic patients maintain their active lifestyle by reducing pain by unloading the arthritic knee joint. Professional advice for your life in motion. The truth is, not every situation calls for a Custom Brace. Dr. Rennick and the team at Action Sports Clinic will guide you to the right brace for the right situation… Off the shelf or custom made, we know how to get you back in the game.